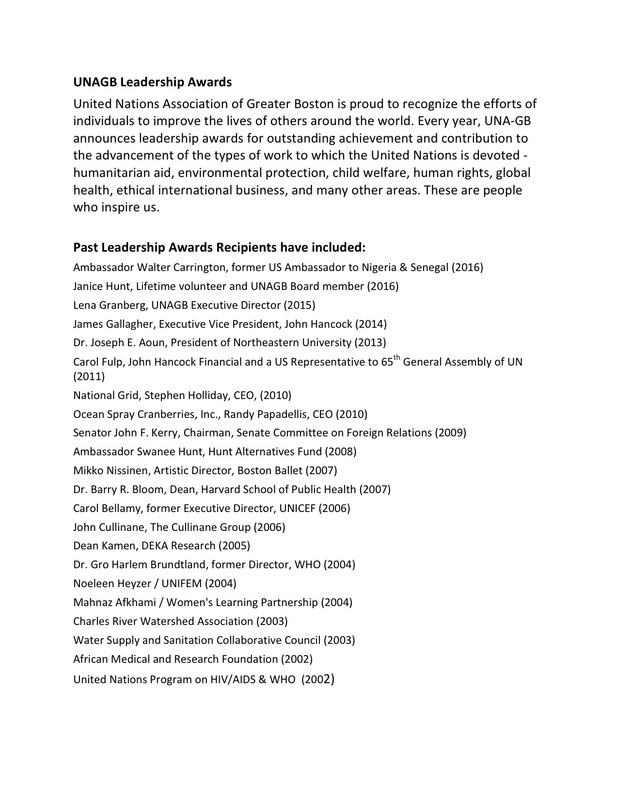 United Nations Association of Greater Boston is proud to recognize the efforts of individuals to improve the lives of others around the world. Every year, UNAGB announces a Global Citizenship award for outstanding achievement and contribution to the advancement of the types of work to which the UN is devoted – humanitarian aid, environmental protection, child welfare, human rights, global health, ethical international business, and many other areas. See previous award recipients here. 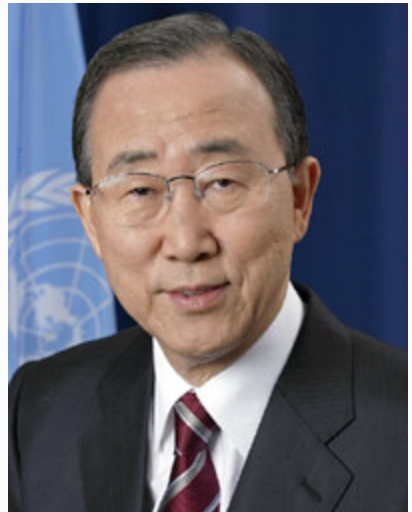 We are proud that His Excellency, Mr. Ban Ki-moon, UN Secretary-General, 2007-2016, and the Honorable Martin J. Walsh, Mayor of Boston will join us and be honored with UNAGB’s Global Citizenship Award. Come celebrate at the Global Citizens Gala on Saturday, June 10 at the Fairmont Copley Plaza for a memorable evening and mark their achievements! The Secretary-General pressed successfully for the creation of UN Women, a major new agency that consolidates the UN’s work in this area. Martin J. Walsh, a lifelong champion of working people and a proud product of the City of Boston, was sworn in as the City’s 54th mayor on January 6, 2014. Mayor Walsh’s vision is of a thriving, healthy, and innovative Boston — a City with equality and opportunity for all, where a revolutionary history inspires creative solutions to the challenges of the 21st century. Since taking office, Mayor Walsh has focused on strengthening Boston’s schools, adding hundreds of high-quality pre-kindergarten seats, funding extended learning time and advanced curriculum at more schools, and securing tuition-free community college for Boston Public Schools graduates. The Mayor has led Boston to the forefront of the global innovation economy, by attracting industry-leading private sector employers, upgrading the City’s digital infrastructure, and using technology to transform government services — from a parking meter payment app to a new City website. At the same time, he has created powerful tools for low-income workers, including a “learn and earn” job apprenticeship program and an Office of Financial Empowerment. He is the founding vice-chair of the Cities of Opportunity Task Force at the U.S. Conference of Mayors, elevating the national conversation on income inequality. The Walsh Administration has addressed the tremendous need for housing in the City with an ambitious plan, setting records for new affordable and middle-class homes. In addition, it has built a state-of- the-art homeless shelter and gotten the City on a path to effectively ending chronic homelessness. The Administration has been hailed by the White House for expanding young people’s opportunities and breaking new ground in crime prevention and police-community relations. Other milestones include the nation’s first municipal Office of Recovery Services to prevent and treat substance abuse; the City’s first Cultural Plan in a generation, to restore Boston’s identity as an arts leader; and, in a sign of strong fiscal management and economic policy, the City’s first perfect AAA bond ratings, unlocking unprecedented investments in parks, libraries, and public safety. Finally, the Mayor has invited the people of Boston to help build a blueprint for the City’s future in Imagine Boston 2030, the first citywide plan in half a century. Before taking office, Mayor Walsh served in the Massachusetts House of Representatives, where he was a leader on job creation and worker protections; substance abuse, mental health, and homelessness; K-12 education; and civil rights. He played a key role defending Massachusetts’ pioneering stand on marriage equality. 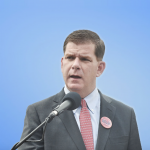 Mayor Walsh also made his mark as a labor leader. After following his father into Laborers Local 223 in Boston, he rose to head the Building and Construction Trades Council from 2011 to 2013. He worked with business and community leaders to promote high-quality development, and he created a program called Building Pathways that has become a model for increasing diversity in the workplace and providing good career opportunities for women and people of color. Born and raised in the neighborhood of Dorchester by immigrant parents, Mayor Walsh is driven to make sure Boston is a City where anyone can overcome their challenges and fulfill their dreams. As a child, Mayor Walsh survived a serious bout of Burkitt lymphoma, thanks to the extraordinary care he received at Boston Children’s Hospital and Dana Farber Cancer Institute. His recovery from alcoholism as a young adult led to his lifelong commitment to the prevention and treatment of addiction. And while working full-time as a legislator, he returned to school to earn a degree in Political Science at Boston College. Mayor Walsh continues to reside in Dorchester, where he shares his life with longtime partner Lorrie Higgins.